This dessert-like cocktail blends flavours of vanilla, cream, brandy and amaretto for a treat that’s decadently delicious. 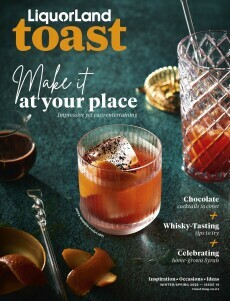 This decadent champagne cocktail mixes champagne with brandy and a dash of Angostura aromatic bitters for a mouthful of fizz with a pleasingly warming finish. Thought to originate from the Ritz in Paris, this classic cocktail is a sophisticated blend of brandy with Cointreau or triple sec and lemon juice.